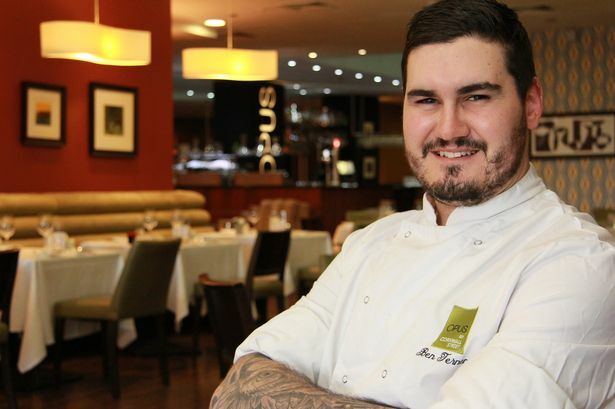 City restaurant group Opus has promoted its head chef Ben Ternent to executive chef. His appointment follows the recent and unexpected departure of David Colcombe who helped launch Opus a decade ago and had run its kitchens. Mr Ternent, 30, is already a key player in the company and will manage a team of 11 chefs and three kitchen porters at the group&apos;s three venues - Opus at Cornwall Street, Café Opus in Brindleyplace and Bar Opus in One Snowhill. He will also develop menus, buy produce from the company&apos;s range of local and sustainable suppliers and continue to cook. Born and raised in Birmingham, Mr Ternent studied at the Birmingham College of Food, ow called University College Birmingham, during which time he did a placement year in Denver where he had his first taste of à la carte cooking. He then joined Opus as one of the original team shortly after its launch in 2005 as a commis chef and has gained ten years of experience, working in almost every section of its kitchen to become one of the youngest members of the management team. During his time at the restaurant, Mr Ternent has received a number of prestigious awards including being crowned the British Culinary Federation&apos;s Young Chef of the Year in 2006 and achieving his Royal Academy of Culinary Arts Award of Excellence in 2009. He said: "It&apos;s now my job to develop our ever-growing team and motivate them to keep pushing the quality of our dishes and menus forward. "It goes to show that hard work pays off and it&apos;s a privilege for me to be working with such talent. I&apos;m now looking forward to delivering our new summer menus and organising some trips out to our suppliers." Ann Tonks, managing director at Opus, said: "Ben is so young and passionate and his new position truly recognises the work that he&apos;s been doing for some time now. "He has built strong relationships with his team and our suppliers and is much loved by Opus&apos; staff and customers. "We can&apos;t wait to see what he and his team will be cooking up for us in the future."